Across the western United States, the number of large wildfires on public lands have increased over past decades. This increase has had negative impacts on local economies, human health, valued resources, and wildlife habitat. 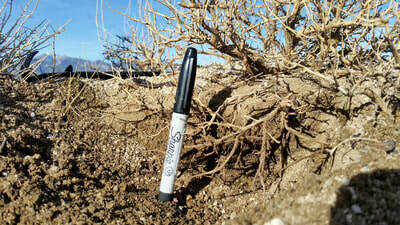 Land managers are expected to mitigate these deleterious effects through active restoration. 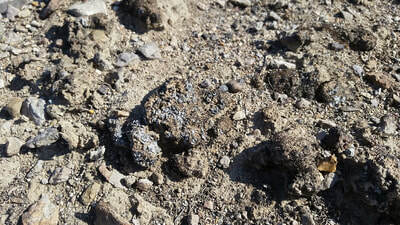 Federal guidelines require that the Bureau of Land Management (BLM) stabilize soils and reduce erosion through the reintroduction of perennial vegetation after wildfire. Treatments such as aerial seeding and herbicide application are used to accelerate and improve post-fire recovery and promote native perennial plant species. 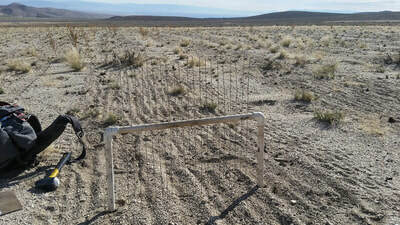 To determine whether restoration objectives are met, vegetation and soils are monitored over several years using Assessment, Inventory, and Monitoring protocols (AIM; http://aim.landscapetoolbox.org/wp-content/uploads/2015/08/Monitoring-Manual-Volume-I_Core-Methods_ADVANCE.pdf ). Often times, the lack of controls and the number and placement of monitoring plots is inadequate to determine when, where and which treatments are successful. In partnership with the Ely, Nevada BLM District, we design robust monitoring plans that enable us to assess vegetation community and soil response across plant communities, treatments, and soil types. 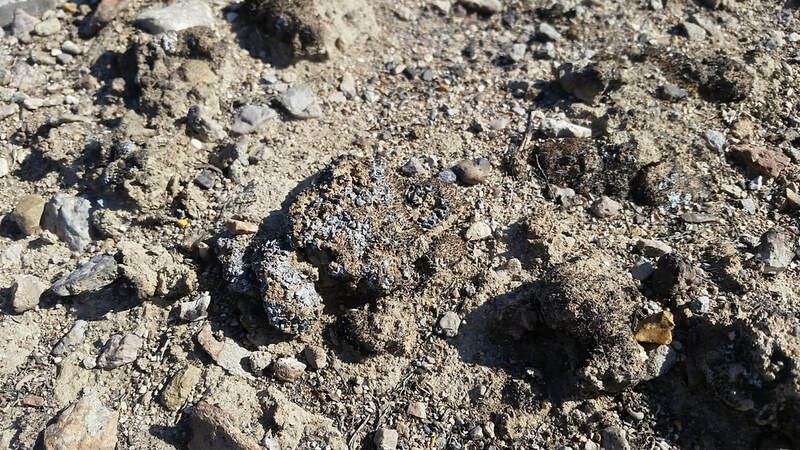 We are actively monitoring nine fires in the Ely BLM District that occurred from 2013 to 2017. 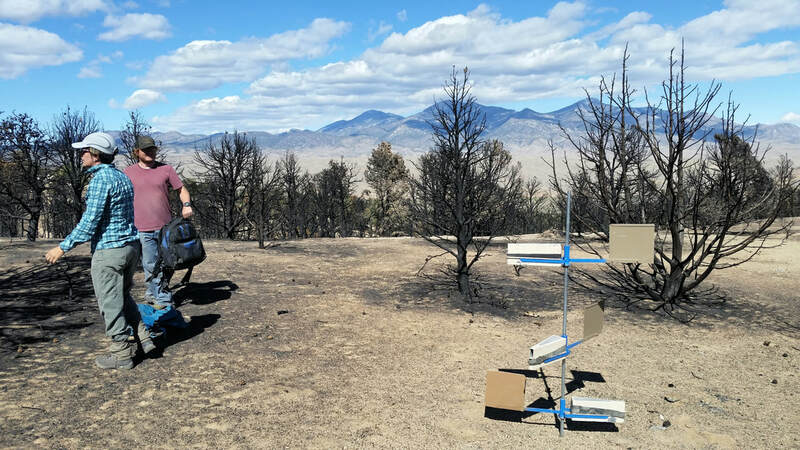 These fires encompass a multitude of restoration treatments across diverse ecosystems, which are representative of the greater Great Basin ecoregion. Measured vegetation characteristics, such as native perennial plant cover and invasive annual grass density, provide information on community structure. Soil characteristics like soil chemistry, texture, stability, and biological soil crust cover help us understand the relationship between soil erodibility, nutrient pools, and plant available water. We use the resulting data to examine how restoration treatments influence community response over time and across locations. 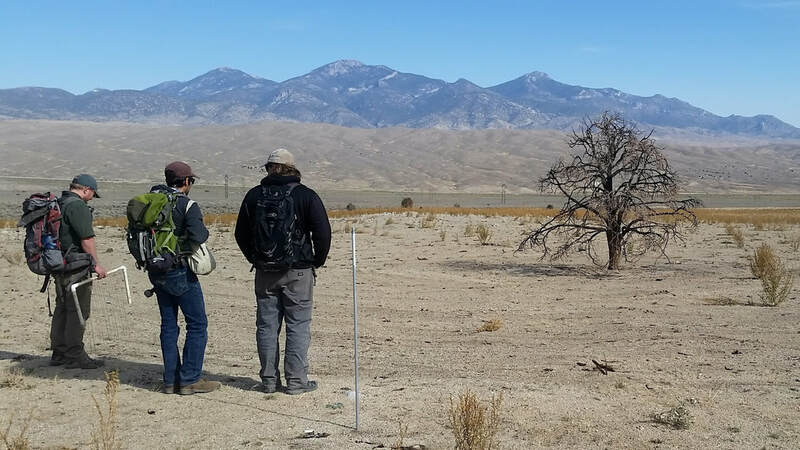 By gaining an understanding of treatment effectiveness and determining where and how they should be utilized, we hope to guide and improve future post-fire restoration efforts.